New Visions (NV) is a movement seeking positive changes in New Castle and Lawrence County, PA. by mobilizing an army of caring and invested volunteers to take action to help their own community! We are a conversation starter, a catalyst, and a connecting agent which brings people together, builds trust, and starts to shift attitudes and grow pride in our community. It’s all about timing. NV repeatedly hears “that’s been tried before, it will never work”. But there is reason for hope. 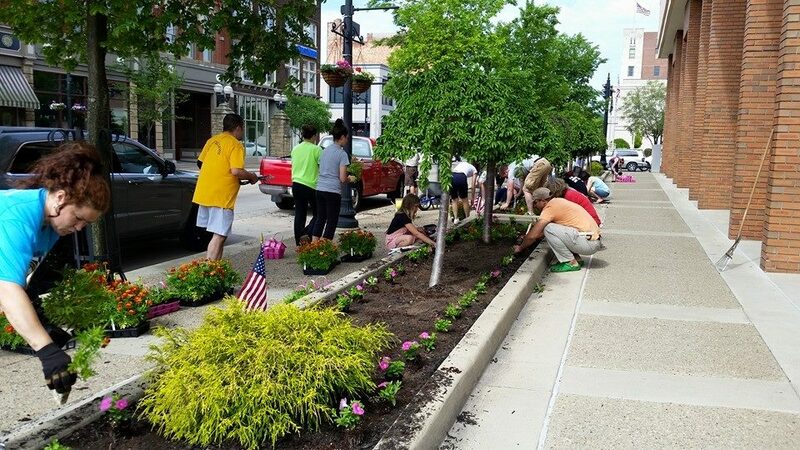 As the City of New Castle embarks on initiatives like the Riverwalk Trail, Entrepreneur support projects, and fulfilling Act 47 requirements, and developing a plan for growth, New Visions has opportunities to help. As the County updates their comprehensive plan, expands their outdoor initiatives, and dedicates momentum to growth, New Visions has opportunities to help. As the conversation continues to expand and we find common ground and common desires for change, New Visions has opportunities to help. New Visions doesn’t have all the answers, we don’t have a ‘magic pill’, but we are a group willing and committed to step up and do something. We are seeking others who are willing as well! Together we can create the pride, buy-in, and hope that our community needs to move progress forward. Be part of the action that makes it happen!